In addition to the statement, “This is my body,” Jesus made a variety of other comments that were also intended figuratively. For example, He said, “I am the door” (John 10:7), “I am the Bread of Life” (John 6:35), and “I am the true vine” (John 15:1). These words were obviously not meant to be understood literally, but rather as figures of speech. However, an opposite type of confusion can also occur: Christians sometimes disregard the plain (and literal) statements in Scripture, as they seek to discover “deeper” figurative or symbolic meanings behind those statements. This specific confusion sometimes occurs in relation to another symbolic practice that Paul taught, just prior to his statements on the Lord’s Supper. “Every woman who has her head uncovered while praying or prophesying disgraces her head… if it is disgraceful for a woman to have her hair cut off or her head shaved, let her cover her head.”3) 1 Cor. 11:5-6, NASB. In response to this text, some propose that a “covered” woman is one who is in submission to her “head” (that is, her husband). In other words, rather than a physical cloth worn on her head, the woman’s husband is considered to be a “spiritual covering” for her.4) eg., “Is this a literal covering of the head or is it illustrating a spiritual aspect?… The covering (or uncovering) is describing a spiritual relationship… [the husband] is required to bridge the gap so to speak between the LORD and the woman… the woman must have some kind of spiritual cover (or authority) over her… for her spiritual protection.” George, Davis. The Woman Is the Glory of the Man. Westbow Press, 2012. 202-208. This idea of a “spiritual covering” is sometimes associated with some parts of the Charismatic movement. 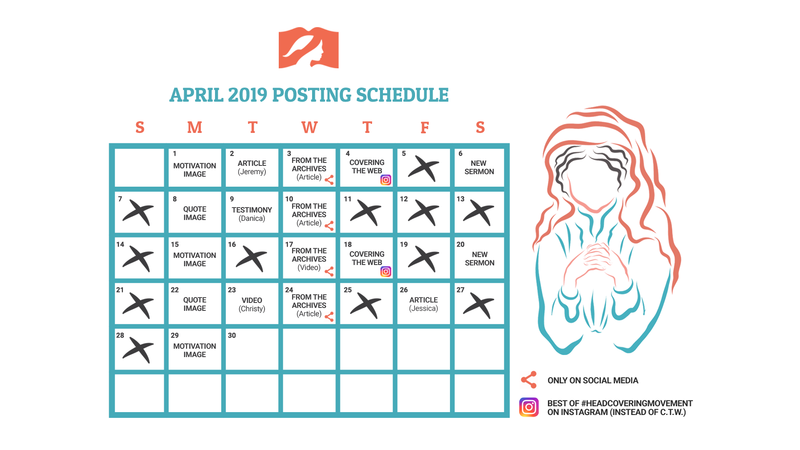 Several important truths about biblical womanhood are symbolized by a cloth head covering. 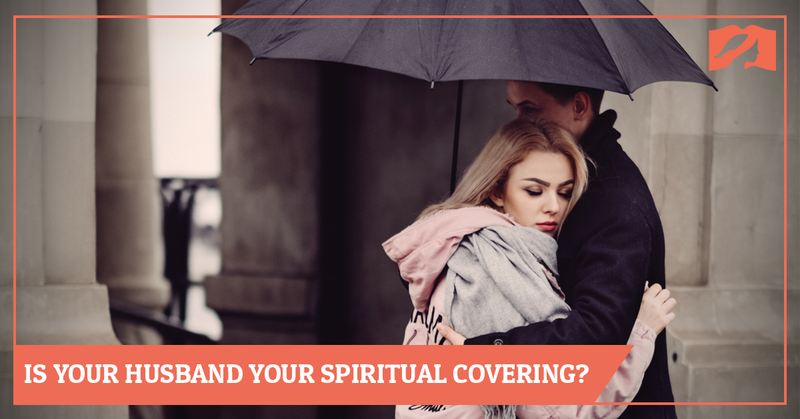 However, multiple interpretive problems are created when being “covered” is used as a reference to being under the husband’s spiritual leadership. The primary difficulty with this interpretation is that it equates the woman’s head with the woman’s head covering — even though each is discussed separately within the passage. More specifically, this passage teaches that the woman’s biblical role is symbolized by a covering, not that the husband’s role is a covering. Along the same lines, most scholars agree that Paul’s symbolic use of the word “authority” (1 Cor. 11:10) is a reference to the covering.6) Obviously, authority is not something that can be literally placed on a person’s head, and so Paul intends this symbolically. Many English Bible translations reflect this by helpfully adding the phrase “sign of” or “symbol of” prior to the word “authority.” In this verse, Paul teaches that this symbol of authority is to be “on”7) The Greek word epi is commonly translated “upon” or “above.” the woman’s head. This “covering on the woman’s head” is easy to picture if Paul is referring to a piece of cloth, but much more difficult to picture if Paul is referring to the husband. 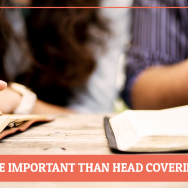 In this passage, Paul discusses both the husband and the head covering. But to equate the “covering” with the “husband” requires a non-literal, “spiritualized” interpretation of the passage. This method of reading literature is often called “allegorical interpretation” and is often used by those who seek “deeper” (or hidden) meanings within Scriptural statements. However, most evangelical Christians employ a more common historical-grammatical method of reading the Bible, which doesn’t allow for allegorizing passages that already make plain sense when understood literally. As with any doctrine taught in Scripture, our responsibility is to handle the Word carefully and accurately (2 Tim. 2:15). Whenever we fail in that, we are liable to cause much confusion. 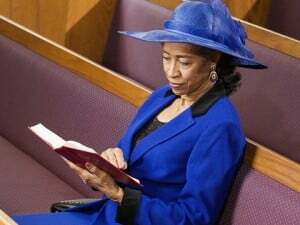 In the case of 1 Corinthians 11:2-16, the husband may indeed have some of the spiritual leadership responsibilities implied by those who view him as the “spiritual covering” for his wife. However, nothing in this text requires (or even implies) that the woman’s “covering” is her husband. Because of the interpretive roadblocks that come with this proposal, it has remained a minority view within Christianity. Instead, the passage provides very clear indication that Paul was referring to a cloth head covering used during times of prayer or prophesy. This has, therefore, been the primary view of the Church for the majority of the last 2000 years. ↑ 1 Cor. 11:5-6, NASB. ↑ eg., “Is this a literal covering of the head or is it illustrating a spiritual aspect?… The covering (or uncovering) is describing a spiritual relationship… [the husband] is required to bridge the gap so to speak between the LORD and the woman… the woman must have some kind of spiritual cover (or authority) over her… for her spiritual protection.” George, Davis. The Woman Is the Glory of the Man. Westbow Press, 2012. 202-208. ↑ Thayer, Joseph. Greek-English Lexicon of the New Testament. Harper & Brothers, 1889. 331. 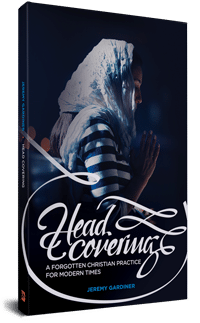 After talking about head coverings in the Corinthian church, Paul says in 1 Cor 11:16 that rest of the churches of God don’t practice using head coverings. 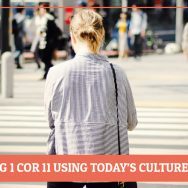 Paul was simply encouraging the Corinthian believing women to be culturally sensitive in a city where a head covering indicated marriage, much like our wedding rings today. “Don’t remove your wedding ring” would be an accurate application for us today. Head coverings no longer indicate marriage in most places, and we should only wear them in countries where it is applicable. Hi Theophilus, in this article we highlight some of the historical evidence that shows why it wasn’t a sign of being married in first-century culture. There was no such custom as women praying uncovered.